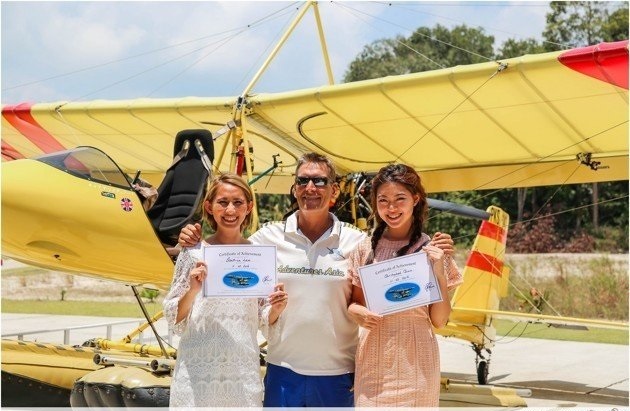 Equal parts relaxing and thrilling, this seaplane ride with Air Adventures Bintan was quite unlike anything you’ve ever experienced before. 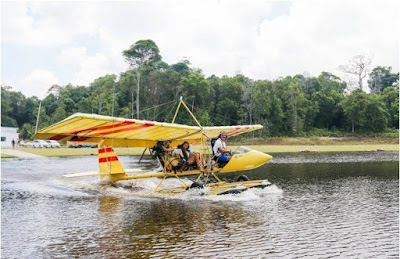 With its open cockpit and amphibious landing gear, the Challenger Ultralight aircraft will give you a flying experience you know you won’t soon be forgetting. The man behind this unique business is none other than Stuart Perkins. Originally from England, he’s been living in Bintan for over 3 years now with his wife. Stuart’s background was in commercial flights, but he was looking for something more than “having coffee and pushing buttons”, which resulted in the creation of Air Adventures Bintan. With over 22 years of flying experience under his belt, you know you’ll be in ultra-safe hands. 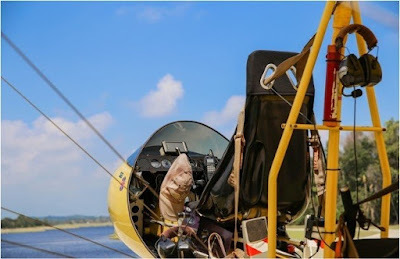 The aircraft is maintained to the highest standards of safety by a team of in-house aircraft technicians and Stuart himself. You’ll also be given a thorough safety briefing before your flight so you know what to expect. The 20 minute flight was exhilarating to say the least. Even though you have a pretty serious fear of heights being 100,000ft in the air in an open cockpit is something that ranks pretty high on the things-you-would-never-do list, once we took off all inhibitions vanished. Flying through the clouds (touched cloud!!!) 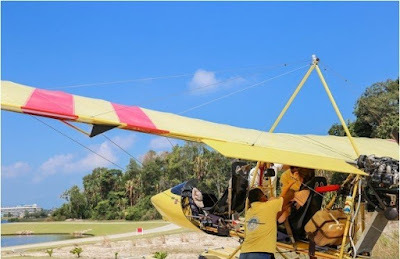 with a completely unobscured view of Bintan’s cerulean waters, Stuart said through the intercom that dolphins are even sighted off the coast during certain periods of the year. Truly Bintan is home to such underrated beauty that I am ashamed to be appreciating it only now! 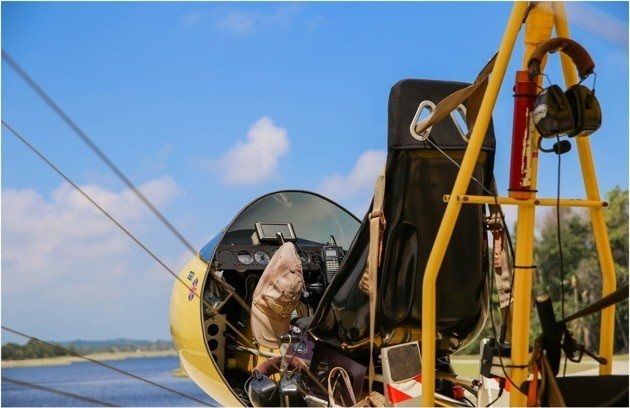 As you literally have to climb into the aircraft, appropriate attire is highly recommended. Do avoid skirts, dresses and high-heeled shoes. Passengers are also not allowed to carry any loose items with them aboard the aircraft (this includes cameras with attachments, scarves, hats, etc) so if you have these items on you they will have to be left in the office. All passengers receive a certificate of achievement at the end of the flight which makes for the perfect memento to bring home. 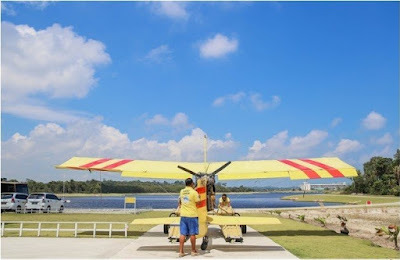 If you like you can even purchase the video of your full flight for SGD35 to immortalize the experience forever.